Queensland Racing facing turbulent times. FOUR people referred to the Crime and Corruption Commission, 68 criminal charges and a $28 million deficit. When Rockhampton MP Bill Byrne was sworn in as Queensland racing minister the same day ABC's Four Corners program on live baiting in the racing industry aired he did not know the series of events that had been triggered. On Thursday he admitted his surprise about what auditing consulting company KPMG's financial analysis of Racing Queensland revealed. The audit was a recommendation from the Queensland Greyhound Racing Industry Commission of Inquiry, which was implemented in the wake of the live baiting scandal. Mr Byrne announced four people involved with Racing Queensland had been referred to the CCC for serious issues. He would not name the people and chose not to elaborate on the circumstances. Mr Byrne said the government was looking ahead for a solution, not playing the blame game. The state racing body posted a $12 million loss in 2014-15 and has a forecast deficit of $28 million in 2015-16. Mr Byrne said the perception "rivers of gold were associated with Racing Queensland" and cultural problems in the body were part of the problem. He said the body had operated under a naive and overly optimistic view its revenue stream would increase. Racing Queensland's acting chief Ian Hall said the body's revenue came from wagering, but changes in betting trends towards corporate companies had stunted revenue. He said the body's spendings on prize money had risen to 61% of its expenditure. Mr Hall said as Racing Queensland was overhauled more money would now be set aside to animal welfare. Police have laid 68 charges against people allegedly involved in live baiting. Although Mr Byrne refused to name the people referred to the CCC or elaborate on what he called "cultural problems", the Opposition has condemned the government's treatment of Racing Queensland and its former board members. Mr Byrne said the government would commence a full consultation with all racing industry stakeholders. But Opposition racing minister Jann Stuckey said it was too late. "This government should stop talking down an industry that contributes $855 million to the stat economy and provides 30,000 Queenslanders with jobs," she said. 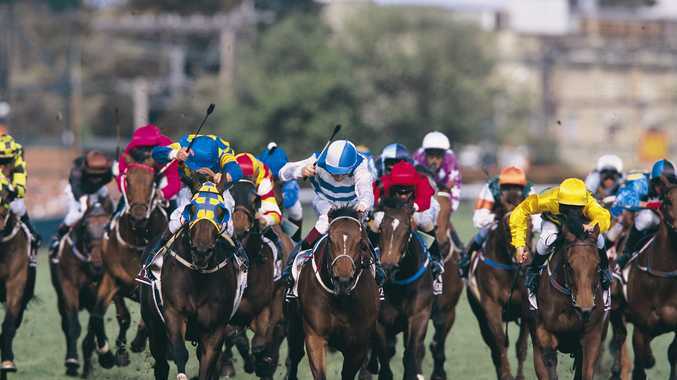 RACING Minister Bill Byrne said Racing Queensland could expect a $28 million deficit this year, rather than the initially predicted $21 million. He said the blow-out was created by an overly optimistic view of revenue and widespread cultural problems within Racing Queensland. Mr Byrne chose not to comment on the people referred to the Crime and Corruption Commission, saying it would be counter-productive and unhelpful. He would not elaborate on the cultural concerns because it was closely linked to why four people were referred to the CCC. RACING Minister Bill Byrne has warned financial information about Racing Queensland which he will reveal later today will show "a perfect storm" of financial instability. On Thursday he told Queensland Parliament independent company KPMG's review had found a concerning culture where growing allocations in prize money and subsidies could not be sustained. Mr Byrne said Racing Queensland was expected to suffer $11 million in losses this year and $21 million next year. Racing Queensland's financial analysis was part of the Queensland Greyhound Racing Industry Commission of Inquiry led by barrister Alan MacSporran. It was sparked by ABC's Four Corners report revealing "live baiting" had been used in Queensland to train greyhounds. Mr Byrne said four cases had been referred to the Crime and Conduct Commission on top of 68 charges against alleged offenders. He said from today the government would commence a full consultation with all racing industry stakeholders.